Want to spruce up your home or office with amazing photography prints and canvasses? 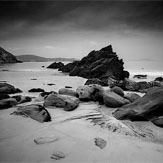 Enda Cavanagh is an award winning Dublin based professional architectural and landscape photographer. 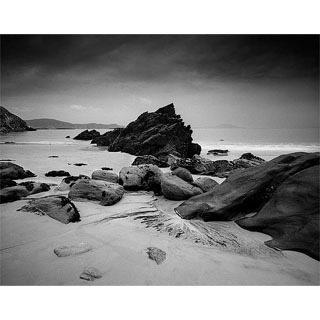 His black & white and colour photography will make a dramatic statement on any wall of your home or office. Use this gift voucher on AllGifts.ie you wish in our online gallery www.EndaCavanagh.com. Enda Cavanagh Photography is located in Dun Laoghaire, Co. Dublin. He seeks to reflect the inherent drama and melancholy of the Irish landscape in his photographs. Enda regularly finds himself shooting landscapes that show evidence of man's existence and his impact on the land. Many of his images also feature man made objects that, over time, have themselves become part of the landscape. Enda's work captures the character of the land and communicates the subtle patterns, shapes and forms which exist in our landscape. Enda appreciates how essential the presence of man is to our understanding of our environment and seeks to capture the tension implicit in the emergence of beauty from the detritus of our existence. He challenges our comprehension of beauty by asking us at what point does age become attractive. Enda helps us to perceive the dynamic nature of the country we inhabit and casts a cold, challenging eye upon the traditional interpretations of the Irish Landscape. His vision of the Irish Landscape allows Enda to draw dramatic parallels between the subjects of his work and their surroundings. Enda's Landscape work emphasises the dynamic and transitive nature of our relationship with our environment. This allows Enda a unique vantage point from which he can portray the connections between our constructions and the contours which give them context.